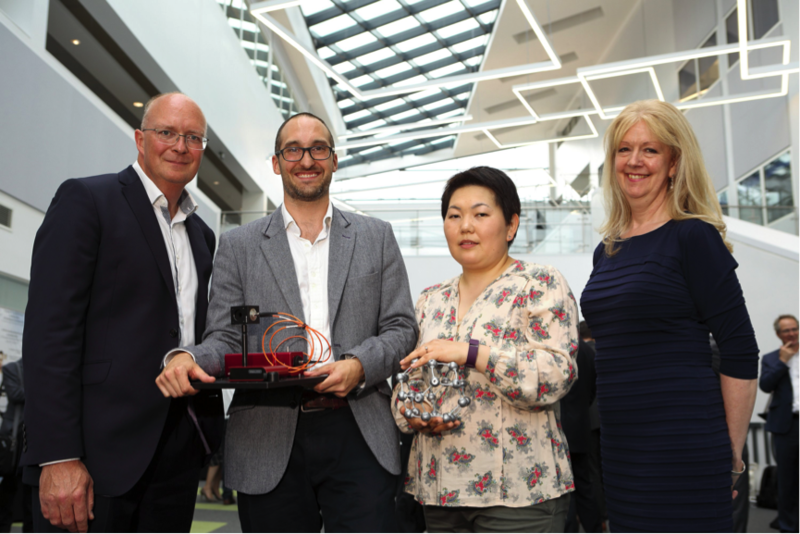 Thirty of the UK’s most exciting technology start-ups from the health, digital and mobile sectors showcased to big name corporates including Santander, Microsoft and GE Healthcare for the chance to have their product adopted by the business giants last week (22 June). The aim of the Showcase is to broker mutually beneficial partnerships, with the corporates finding new technologies and products while the start-ups had the chance to seal deals with business giants that they would never normally be able to access. As well as exhibiting, the start-ups had the chance to pitch for five minutes each, to over 200 registered delegates, to explain how their technology could feed into the corporates’ own product and services, increase their speed to market with new innovations or help streamline internal processes and systems. Simon Bond, Innovation Director at SETsquared, said: “The Open Innovation Showcase has always been a vital event for both corporates and start-ups, and this year was no different. We’re proud to have brought the cream of the crop of health, digital and mobile innovators to the showcase for 2016 and I have no doubts that the corporates who attended will be following up technologies worth adopting into their business. Among the success stories so far is Bath SETsquared member Green Running, which is made up of experts in domestic energy monitoring and analysis. Last year the company secured an investment of £750k from Ignite, a social enterprise investment fund backed by Centrica, owners of British Gas. Earlier in the year, SETsquared announced a record-breaking £90m had been raised in investment in 2015 by the start-ups it supports, with last year’s Open Innovation Showcase contributing towards this figure.